Imagine that you’ve spent your entire life training for something and then you learn that those skills could become absolutely useless? I’m not talking about Liberal Arts, but the well-respected act of English thievery. Ah, the grace of breaking-and-entering. The beauty of hacking a computer hooked directly into a bank account. The majesty of hitting a robot with a tiny bat repeatedly, venting out all of your life choice frustrations with each swing! Anyway, I have 100 days to up my thief game and steal a security measure that will somehow stop all thieving. Seems legit. The Swindle was released on July 28, 2015 and is available on PC and PS4. 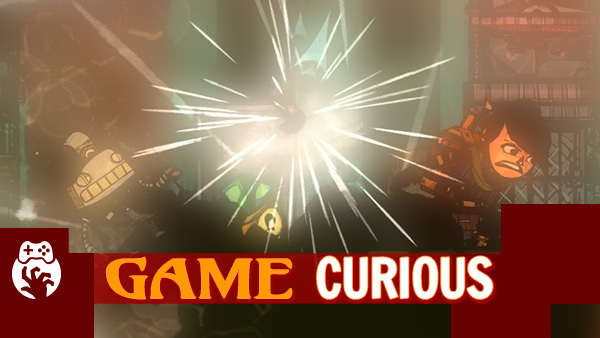 ← Game Curious Grow Home – Wanna Get High, BUD?